I'm just back from a quick overnight trip to the 1,000 Islands in the St. Lawrence River at Gananoque (ga-nan-knock-way). We haven't had a proper holiday in two years, ever since we stopped going away with the kids; but we have managed a few interesting overnights. 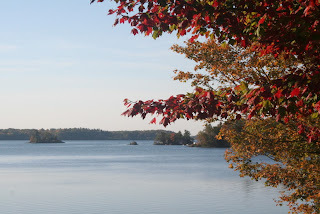 We stayed at Glen House right on the banks of the St. Lawrence and took one of the boat cruises around the islands - there really are over 1,000 - some very tiny and others quite large and the houses on almost all of them are eye-popping!!! In a week or two Glen House will be taken over by swarms of knitters for "The Needler's Retreat" Two of my friends will be teaching there. It really is a beautiful spot, with good food and of course great company. Here is the view from my window. The colours hadn't quite turned completely yet; but they were starting. The next day we drove up to Merrickville, which is a historic town on the Rideau Canal system. This also a beautiful spot and the colours had really turned up there. 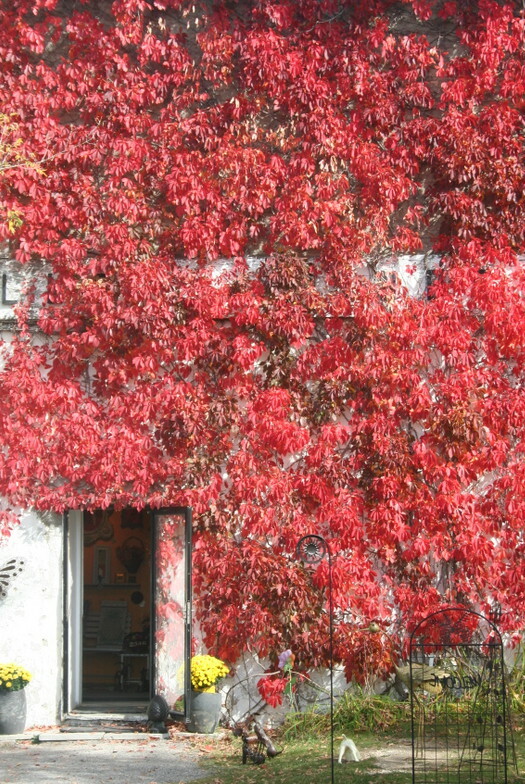 Here's an old blacksmith's forge with Virginia Creeper, ablaze. There are lots of little shops, cafes, restaurants and inns in Merrickville. 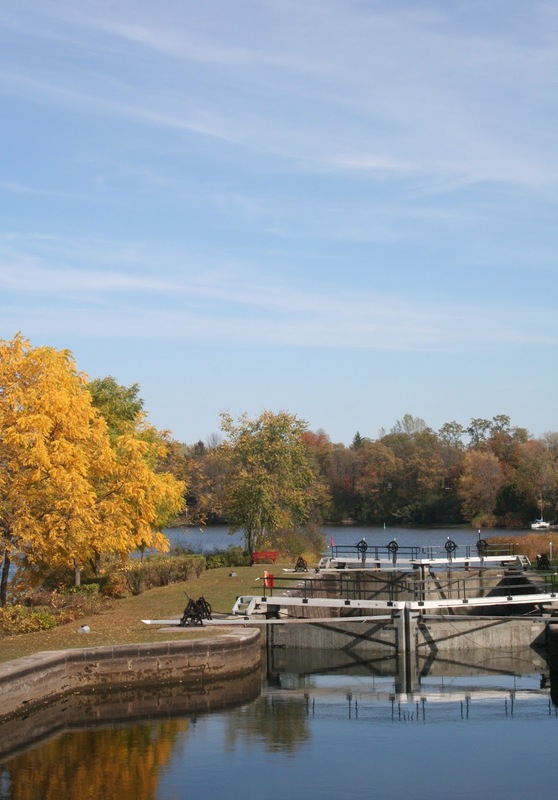 It is a major stop in summer when many people rent house boats for a week or so, to ride up and down on the canal which runs from Kingston to Ottawa and is now a World Heritage Site. 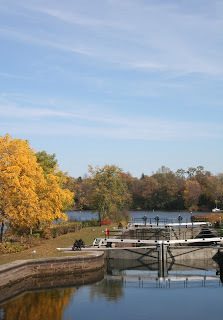 Here is a picture of one of the locks. 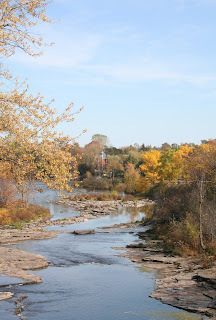 And finally a picture of the Rideau river. I took a lot of pictures as you can see and even did some knitting. Now it's back to work and a lot more knitting.